65%? That’s a mighty big number in golf. Drivers, hybrids and fairway woods might get all the headlines for tee shots, but the scoring game starts much closer to the hole. 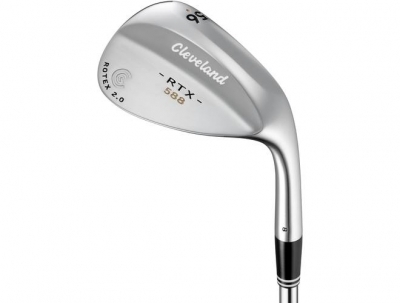 For that reason, we tried Cleveland’s new 588 RTX 2.0 wedges – and they certainly performed admirably. People seem to understand the importance of sand wedges, but it’s curious that they’re not automatically included in most sets of golf irons. You have to buy them separately, which can be a pain – but also adds confusion. Much of the reason wedges remain a mystery is the significant amount of specialization that goes into them, with wedges built with different bounces as well as varying lofts. How to make sure the wedges you’re buying are the right ones for your game? Finally, choose wedges that are four degrees of loft between them to cover the gaps in that 125-yard area. In other words, it looks just like a regular sand wedge with a small device attached. You swing it a couple times and the sensor transmits information to a computer program which shuffles the data and makes recommendations on what type of wedge (with optimum bounce and sole grind) to use. It’s all depicted on a video screen, so it’s similar to a fitting session for most other types of golf clubs. The analyzer also includes a database of iron set pitching wedge lofts to help fitters recommend the proper wedge lofts to complement the golfer’s irons. It’s a neat tool. For us, we’re familiar enough with the types of courses we typically play to know we don’t want an excessive amount of bounce on our sand wedges – and also which lofts to employ. The RTX 2.0 wedges are available in a traditional muscle-back head shape for the better player, as well as a more forgiving cavity-back design for the improving wedge player. That sounds about right for us. The 588 RTX 2.0 wedges are also available in low bounce grind and full sole grind, which ideally suit different attack angles and playing conditions. We had the opportunity to try the wedges in a variety of ways – basically every type of condition you’d encounter on a golf course except for maybe hardpan dry lies. They were easy to hit from fairway lies as well as deep rough and sand. 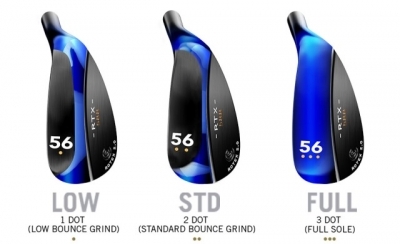 It would likely take a more extensive trial to determine how far each wedge travels on full-swing shots, but the most important thing we gathered from using the 588 RTX 2.0 wedges is how consistently they performed when put to the test in some interesting situations. It should be noted that we’ve tried wedges from other companies in the past couple years that have performed very well. Sand wedges are definitely easier to hit than they used to be and have gone from clubs we might dread using to the most reliable contributors in the bag. Find yourself in a greenside bunker? No problem. You know you’ll get it out and be able to control the spin, too. 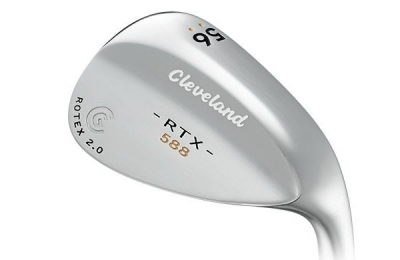 We recommend trying the Cleveland 588 RTX 2.0 if you’re looking for high-end wedges to potentially add new shots to your arsenal. The quality of manufacture is exceptional – and let’s face it, Cleveland is known for its wedges. 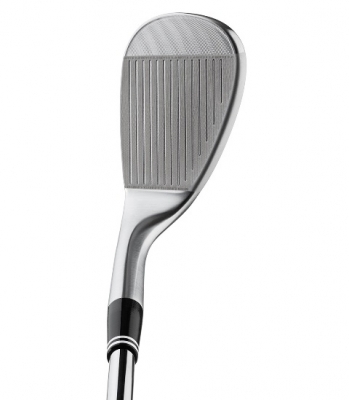 It’s yet another specialty option in the world of golf equipment that helps take the mystery out of choosing a sand wedge. 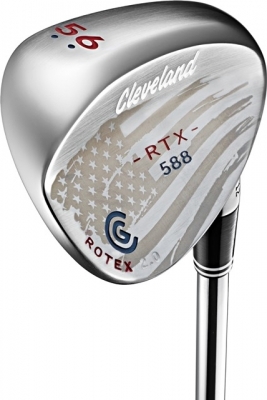 Note: Cleveland Golf just announced the introduction of the new custom edition 588 RTX 2.0 wedges, which boast an elegant patriotic American flag etching and custom paint fill (ahead of Father’s Day, Major Championships and Independence Day). The new RTX 2.0 wedges are currently available in multiple lofts, bounces and finishes, and come standard with a True Temper Dynamic Gold shaft or Cleveland Golf’s new ROTEX graphite wedge shaft offering. Check the website for locations and availability. Cleveland Golf also features quite a selection of putters, woods, irons and accessories.